Mike Day is the Director of the Diocesan Center for Family Life (DCFL), the Family Life and Respect Life office of the Diocese of St. Augustine in northeast Florida. He has been a member of NACFLM since 2007 and currently serves as Region IV Representative and Secretary on the Board. He has a B.A. in Philosophy from Florida State University and has been married to his bride Evie for 13 years with two children. Mike has worked for the DCFL for 10 years, first as Marriage and Family Life Coordinator in 2007 then Director in 2012. Prior to working for the Diocese of St. Augustine, he was an Assistant at the Florida Catholic Conference then helped launch a Catholic radio station in Tallahassee, WCVC 1330 AM, and was Station Manager for two years. Over the years he has also done freelance website and graphic design work. He is co-author of The Mission of Love: A Sacramental Journey to Marital Success and Expectant Joy: A Prayer of the Domestic Church Celebrating the Gift of Life. NACFLM has a vital role in forming family life leadership in support of the United States Conference of Catholic Bishops and it is an honor to be able to collaborate with such tremendous talent from across the country. Through the work of the Association we can continue to foster this shared sense of mission and spirit of collaboration. Pope Francis writes in Amoris Laetitia “it is important that people experience the Gospel of the family as a joy that ‘fills hearts and lives.’” This experience occurs most directly at the parish, “which is the family of families,” whose vibrancy and community not only nurtures the families themselves but gives life to the entire Church. In the spirit of accompaniment, my desire is to cultivate a greater sense of subsidiarity by promoting resources and support networks that empower dioceses and local parishes to fulfill this calling and invites greater participation of the faithful, embracing the cultural diversity of their communities. There are certainly many challenges facing the family today but it is an exciting time to be part of this ministry; There is much to be grateful for and much to inspire hope. I will work to ensure that the Association remains a sustainable, thriving resource committed to serving its members and the great work that you do. Socorro Truchan is humbled to be representing Region VI on the Board of Directors of NACFLM. She also serves as a member of the Professional Development Conference Committee, where she successfully facilitated for the first time in NACFLM history, two Spanish (bilingual) formation sessions in 2016. She works for the Diocese of Kalamazoo since November 2013, as the Associate Director for Parish Life and Lay Leadership – Domestic Church. During this time she has worked diligently, reaching out to and accompanying individuals and families in all kinds of situations and social levels; forming caring disciples in marriage and family parish ministry, utilizing all media avenues in English and Spanish; as well as personal one-on-one and family group conversations in parishes, apostolic movements, and area organizations, to promote sound family ministry – as Ecclesia domestica: Taking Family, Marriage and Parenting Seriously and Faithfully. 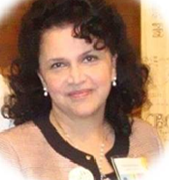 She is a member of various organizations and committees where she offers her talents in a volunteer capacity, some of which include: Fellowship of Catholic Scholars, Academy of Catholic Hispanic Theologians (ACHTUS), University Faculty for Life (UFL); She also serves as a Lifetime Member on the Board for Purdue Latino Alumni Association (PLAO). She serves on the Leadership Team for Rachel’s Vineyard (Bilingual) Ministry, and the Michigan Right-to-Life Multicultural Outreach Advisory Committee. She has completed graduate work in Pastoral Ministry with an emphasis in the New Evangelization at Sacred Heart Major Seminary in Detroit, and in bilingual/bicultural education at Eastern Michigan University. She received a BS degree in Administration from Purdue University. Her work experience is very diverse. 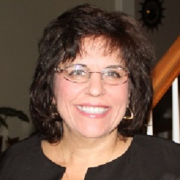 She has many years experience working for the Automotive Industry and various Catholic and Public School Systems in the United States, Mexico and Morocco. She also served as Coordinator for Marriage, Family and Pro-Life in the Archdiocese of Detroit for three years; and as the Administrative Assistant to +Bishop Daniel Flores for three years. She is fluent in English, Spanish and French. She is married to Tony and they have four children. Socorro se siente honrada de representar a la Región VI en la mesa directiva de NACFLM. También sirve como miembro del Comité de la Conferencia de Desarrollo Profesional, donde facilitó con éxito dos sesiones de formación en español (bilingües) en 2016. Trabaja para la Diócesis de Kalamazoo desde noviembre de 2013, como Directora Asociada para la Vida Parroquial y Liderazgo Laico – Iglesia Doméstica. Durante este tiempo ha trabajado diligentemente, tendiendo la mano y acompañando a individuos y familias en todo tipo de situaciones y niveles sociales; formando discípulos afectivos en el ministerio parroquial familiar, utilizando todas las vías de comunicación en inglés y español; así como conversaciones personales y familiares en parroquias, movimientos apostólicos y organizaciones de área, para promover un sano ministerio familiar – como Ecclesia domestica: Tomando en serio y fielmente la familia, el matrimonio y la crianza de los hijos. Ella es miembro de varias organizaciones y comités donde ofrece sus talentos en una capacidad voluntaria, algunos de los cuales incluyen: Fellowship of Catholic Scholars, Academia de Teólogos Hispanos Católicos (ACHTUS), Facultad Universitaria por la Vida (UFL); Ella también sirve como miembro de por vida en la Mesa Directiva para la Asociación de Alumnos Latinos de Purdue (PLAO). Ella sirve en el Equipo de Liderazgo para el Ministerio Viñedo de Rachel (Bilingüe) y el Comité Consultivo Multicultural de Derecho a la Vida de Michigan. Tiene estudios de posgrado en el Ministerio Pastoral con énfasis en la Nueva Evangelización del Seminario Mayor del Sagrado Corazón en Detroit, y trabajo de posgrado en educación bilingüe / bicultural. También recibió una licenciatura en Administración de la Universidad de Purdue. Su experiencia de trabajo es muy diversa. Ella tiene muchos años de experiencia trabajando para la Industria Automotriz y varios Sistemas Católicos y de Escuelas Públicas en los Estados Unidos, México y Marruecos. Ella también sirvió como Coordinadora de Matrimonio, Familia y Pro-Vida en la Arquidiócesis de Detroit por tres años; y como Asistente Administrativo del +Obispo Daniel Flores por tres años. Habla inglés, español y francés con fluidez. Está casada con Tony y tienen cuatro hijos. In our own time, in a world often alien and even hostile to faith, believing families are of primary importance as centers of living; radiant faith… (CCC 1656) There is an urgent need to walk together and unafraid in our ministry to families as Ecclesia domestica. In my vision for NACFLM, and with the grace of God, I will build, foster, and promote an effective witness to Christ in my own family, as domestic church, and challenge all NACFLM members to do the same. We must make visible the living face of Christ as an organization so that the people and families we serve will encounter our Lord in our ministry and in turn, in their own lives. Centered in prayer, we will joyfully allow the beauty of the family to come forth so that the world may encounter the love of God present among His people. As a member of NACFLM, I’ve learned what it means to be one family in ministry, learning from each other, working in collaboration from our respective ‘little corners of the world’. I will continue to work tirelessly and with great joy, to facilitate the growth of the heart of family ministry centered in Christ, utilizing all media avenues, networking connections, as well as personal one-on-one and family ministry group conversations, to promote strengthening the Church’s commitment to families. En nuestros días, en un mundo frecuentemente extraño e incluso hostil a la fe, las familias creyentes tienen una importancia primordial en cuanto faros de una fe viva e irradiadora… (CCC 1656) Hay una urgente necesidad de caminar juntos y sin miedo en nuestro ministerio a las familias como Ecclesia domestica. En mi visión para NACFLM, y con la gracia de Dios, construiré, fomentaré y promoveré un eficaz testimonio de Cristo en mi propia familia, como iglesia doméstica, y desafiaré a todos los miembros de NACFLM a hacer lo mismo. Debemos hacer visible el rostro vivo de Cristo como una organización para que el pueblo y las familias a quienes servimos encuentren a nuestro Señor en nuestro ministerio ya su vez en sus propias vidas. Centrados en la oración, permitiremos con alegría que la belleza de la familia surja para que el mundo pueda encontrar el amor de Dios presente entre Su pueblo. Como miembro de NACFLM, he aprendido lo que significa ser una familia en ministerio, aprendiendo unos de otros, trabajando en colaboración desde nuestros respectivos “pequeños rincones del mundo”. Seguiré trabajando incansablemente y con gran alegría, para facilitar el crecimiento del corazón del ministerio familiar centrado en Cristo, utilizando todas las vías de comunicación, conexiones de redes, así como conversaciones personales y de grupos familiares, para promover el fortalecimiento del compromiso de la Iglesia con las familias. David Dawson has been married to Kate for nine years, and they have six beautiful children. David works as Director of the Archdiocese of New Orleans Family Life Apostolate, but Kate does the real work at home. 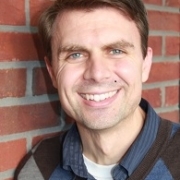 David speaks both locally and internationally on a variety of topics with a focus on faith within marriage. The Dawson’s are also the national coordinators of Domestic Church, a lay movement founded in Poland with the help of St. John Paul II, which provides life-long formation for Sacramentally married couples. As a current member of NACFLM and a diocesan Family Life director collaborating with other directors and ministry leaders around the country, I work to help develop a culture in which those who are in ministry are able to operate as a family of imperfect children of God called to participate in the beautiful things He is accomplishing in His Church. My focus is on providing support and guidance for marriages and families so they may experience the reality of God in the midst of their union with one another, and to develop their dependence upon His mercy in their lived experience at home in their mess. I believe that we can work to help parish communities, and the smaller communities within those parishes, to provide long-term guidance and support for each family on their particular journey of faith. As the NACFLM Diocesan Representative, I feel that I could help to provide a perspective of hope and excitement for what God can do in parishes and especially in individual marriages and families. He is faithful, and He will provide! Kathy Schmugge is Director of the Office of Family Life Charleston, SC (includes Respect Life Ministries, Post Abortion Healing and Help with Difficult Pregnancies) for over 10 years. Families are dealing with greater challenges today than in previous generations and there is an urgency to expand the ministries that serve families. With limited staff and resources, diocesan offices can better meet the needs by fostering greater collaborations with outside organizations that can help heal broken families, strengthen fragile families, and help preserve healthy families. NACFLM is a perfect partner because they have a proven record in accomplishing these goals especially with their strong Catholic identity. Also NACFLM can help link diocesan directors with other groups that can serve the family. Working as the liaison between the organization and diocesan director, I will make sure all the diocesan offices are aware of what NACFLM can do in terms of education and networking through recruiting and providing strong communication about NACFLM. I will also creating concrete opportunities for joint projects that will help the diocesan family life directors see firsthand the benefits of becoming affiliated with NACFLM. María G. Covarrubias is the director of the Office of Catechetical Ministry in the Diocese of San Bernardino in California. She brings twenty-five years of catechetical and family life experience. She is the author of the Diocesan Marriage Initiative that has been implemented in this diocese since 2010. Through this Marriage Initiative, her office provides formation for marriage preparation and family life ministers. María offers keynote presentations, workshops, and retreats on a variety of topics, including catechesis, leadership, spirituality, marriage and family life. She is bilingual and bicultural. She has a Master of Arts in Religious Studies from Mount St Mary’s University. She is a wife, a mother and a grandmother. Debbie Gonzales is the Family Life Director at St. Ann parish in Coppell, TX (Diocese of Dallas). She has over 16 years of experience working with Hispanic couples and families through her work in counseling and Family Ministry. 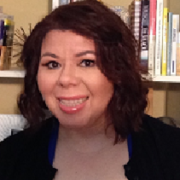 She holds a master’s degree in counseling psychology with an emphasis on Marriage and Family. Her professional practice has been primarily focused on working with Hispanic marriage and family mental health, marriage preparation, and most recently in social justice and immigration efforts. Her work in mental health has focused on past trauma, domestic violence, grief, and divorce/separation. Her work has also allowed her to work with and form Catholic leaders with the hope of helping to strengthen pastoral and civic communities. She has also been a consultant to groups and parishes on multicultural diversity and Hispanic Catholicism in the United States. Debbie has presented at numerous national conferences over the years, including teaching Ministry with Families 101 for NACFLM. Her biggest passion is to be a community resource to help motivate, guide, heal, and support those that are the most marginalized in our midst. Debbie Gonzales es la Directora de Vida Familiar en la Parroquia St. Ann en Coppell, TX (Diocese of Dallas). Debbie lleva mas de 16 años trabajando con familias y matrimonios Hispanos por medio del pastoral y consejeria familiar. Ella posee una maestría en consejeria psicologica con una énfasis en asuntos Matrimoniales y Familiares. Su mayor esfuerzo profesional ha sido en la salud mental de matrimonios y familias Hispanas y preparación matrimonial. Asuntos de salud mental han sido en las areas de traumas de infancia, violencia doméstica, sufrimiento de luto y divorcio/separación. Recientemente ha dado esfuerzos nuevos con respecto a la doctrina social de la Iglesia y asuntos de inmigración. Debbie le apasiona formar líderes Católicos con el fin de fortalecer comunidades pastorales. Ella ha sido una a consultora para grupos y parroquias con respecto a la diversidad multicultural de la Iglesia y el Catolicismo Hispano en los Estados Unidos. Sobre los años, Debbie ha tenido la dicha de presentar en numerosas conferencias nacionales, incluso ha sido maestra para el taller Ministerio con Familias 101 por parte de NACFLM. Su mayor pasión es poder ser un instrumento de apoyo en la comunidad con el fin de motivar, guiar, sanar, y ayudar a los más marginados en nuestro medio. As the Hispanic Catholic family presence continues to grow in the Church in the United States, it at once gives us a time of grace and opportunities for new growth in pastoral realities. As many parishes and dioceses are faced with limited personnel and resources, it is natural that NACFLM would continue to share its wealth of resources to those who minister to Hispanic families. I am hopeful that the opportunity to be elected to Hispanic-Latino Section would allow me to continue to advocate for the specific and multi-layered needs of today’s Hispanic families. I strongly believe in the ongoing development of leaders so that they may in turn be advocates for families and family life ministry in their own parish/diocesan realities. With many families at the fray, strong leadership and access to resources is as critical as ever. Along with advocacy is the chance to educate ministers and families alike of the great resource we have through NACFLM. I would commit to finding ways to enhance these opportunities for ministers and families as Hispanic-Latino Section. A medida que la presencia de la familia católica hispana continúa creciendo en la Iglesia en los Estados Unidos, nos da a la vez un tiempo de gracia y una oportunidad para nuevo y amplio crecimiento en las realidades pastorales. Por la razón que muchas parroquias y diócesis se enfrentan con personal y recursos limitados, es lógico que NACFLM continúe compartiendo su riqueza de recursos con aquellos que sirven a familias hispanas. Me mantengo esperanzada que la oportunidad de ser elegida para la Sección hispano-latina me permita continuar abogando por las necesidades específicas de las familias hispanas de hoy. Creo firmemente en el desarrollo continuo de líderes para que a cambio ellos puedan llegar a ser defensores de familias y del pastoral familiar en sus propias realidades parroquiales y diocesanas. Hoy día muchas familias se encuentran en una la lucha difícil. Un liderazgo fuerte y acceso a recursos para apoyar y abogar por familias es más crítico que nunca. Aparte de abogar por familiar tenemos la oportunidad de educar a ministros y familias por medio del gran recurso que tenemos a través de NACFLM. Me comprometo a encontrar maneras de mejorar estas oportunidades tanto para ministros como para familias como Sección hispano-latina. 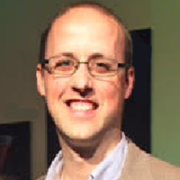 Jacob (Jake) Samour is the Director for the Office of Marriage and Family Life in the Diocese of Wichita. 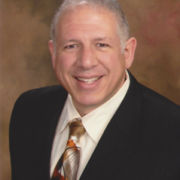 He has over 20 years of ministry experience in the Catholic Church in a variety of fields. He has delivered hundreds of lectures and presentations both in English and Spanish throughout the United States and Mexico and is considered an expert in the field of Human Sexuality, Marriage and Family Life. He is originally from El Salvador and the oldest of 12 children. He immigrated with his family to the U.S. over 37 years ago. He received a master’s degree in theology from the John Paul II Institute on Marriage and Family and is currently a Doctor of Ministry Candidate at Oblate School of Theology, San Antonio, TX. Jake has appeared as a guest of EWTN shows and has been part of numerous radio shows both for English and Spanish stations. He and his wife Ramie have five children. I uphold and proclaim the universal and constant truth and beauty of marriage and family life.